Improving your swing in a few hours is just not possible. After a slew of recommendations and a few kicks in the rear from subscribers, we just had to have a look at Darrin Gee’s “SPIRIT OF GOLF” Big Island Golf Academy. Answering the call, we went, we saw, we liked, and most significantly—we improved. Now, “Spirit of Golf” is on our roster of outstanding golf experiences on Hawaii’s Big Island (with a hefty discount, of course). 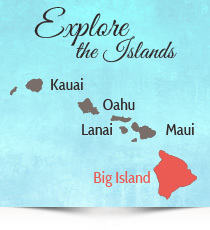 And it is truly the only Hawaii and Big Island golf academy we recommend. Lets get a few things straight from the get-go: This is better described as a “coaching clinic” (helping you play consistently better) rather than a “teaching academy.” It is NOT about dissecting and changing your swing, which isn’t really possible in three hours. Swing changes take place over weeks, months or years, and must always be accompanied by intense practice and repetition interspersed with a tangible and sustaining rapport between student and instructor. 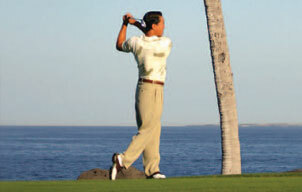 WHAT MAKES “SPIRIT OF GOLF” BIG ISLAND GOLF ACADEMY SO OUTSTANDING? “Spirit of Golf” Big Island Golf Academy fixates on one’s mental approach to the game—positive thinking, visualization, concentration, relaxation, breathing, ritual (Gee’s preferred word instead of “routine”) and reenforcement of all of the above. These principles are the central focus of “Spirit of Golf” and every level of player stands to benefit. The roughly three and a half hours of instruction are masterfully rendered by one of Spirit’s personable and inspiring instructors. Look, we are usually loathe to recommend anything that takes time away from the pursuit of golf during daylight hours in paradise, but “Spirit of Golf” will enhance your golf experience—in Hawaii and beyond—for less than the cost of a golf club. 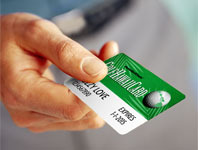 And it WILL take strokes off your game, no matter what clubs you play or how your swing looks or feels. Experience the only Hawaii and Big Island golf academy we recommend early in your visit and enjoy your Hawaii golf adventure even more. Hawaii sales tax additional (4.166%). Sessions limited to no more than 6 golfers.